As Americans, we’re always as proud as can be of our military members and their families and the sacrifices they make. Real estate specialists for military families especially understand the nature of military life. 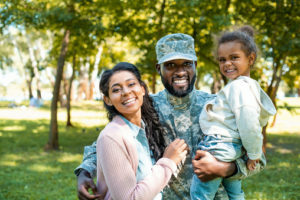 Families are frequently moving to new locations, and in addition to having to move quickly, they’re often choosing a home based on the limited budgets of military salaries. New Jersey is home to a number of military installations. In addition to the Fort Dix Army Base in Burlington and McGuire Air Force Base in New Hanover, there are also training centers and bases in Cape May and Wildwood. Each of these areas is known not just for military residents but also ordinary civilians and/or frequent vacationers. Home prices and values can vary greatly based on small differences in location, and with South Jersey being a densely populated area, traffic can be a problem to daily commuters. At Century 21 Reilly Realtors, our team of agents help homeowners and residents buy and sell homes throughout South Jersey. We’re based in Berlin, but our real estate specialists work with clients and military families buying homes across Burlington County and in military residences. All of our agents live and work in the area, and we understand how to help our customers find homes that are ideal for their commute and family needs. As real estate specialists for military families, we understand the need for your quick turnaround, whether you’re buying, selling or relocating. We are here to help you and your family, whether it’s finding your ideal South Jersey home based on your budget and needs, or selling your current home quickly at the best price. Contact us today to get started on your new home adventure. Our real estate specialists are looking forward to helping your military family with your real estate needs. And thank you for all you do for this great nation! Posted January 29, 2019 & filed under Berlin Real Estate.